Experience and research have shown that the use of Green Care methods can produce health, social and/or educational benefits for a variety of target groups. There is a growing movement towards Green Care in many contexts, ranging from therapeutic applications of green exercise activities, social and therapeutic horticulture, animal assisted therapies, wilderness therapy, ecotherapy and care farming. Green Care can also provide new livelihood opportunities for farms and other rural enterprises, and also contributes to rural viability and the quality of the rural environment. 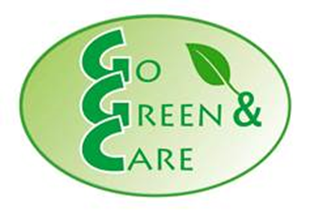 The aim of the Go Green & Care project is to build the competences of VET organizations for providing Green Care education to their students and to create (intellectual outputs as reports) frameworks which will come together for a module of Green Care-education within upper vocational education curriculum in the fields of natural resources, social and healthcare cross sectorally. Specifically, the Go Green & Care project aims to bring together VET instructors from different educational fields (natural resources, social and healthcare, hospitality etc.) from four different countries (Finland, UK, Estonia and Cyprus) in order to exchange knowledge, expertise and ideas about how to enhance existing curriculums by adding the Green Care dimension. Raising awareness about the importance and benefits of the Green Care Education for multiple target groups is also one of the project’s core objectives. This project has been funded with the support from the European Commission. This publication reflects the views only of the author, and the Commission cannot be held responsible for any use which may be made of the information contained therein.